The Sohotel celebrates its boutique features in the buildings exposed brick walls and cozy furnishing all while showcasing a refined modernized style in the lobby and common areas. 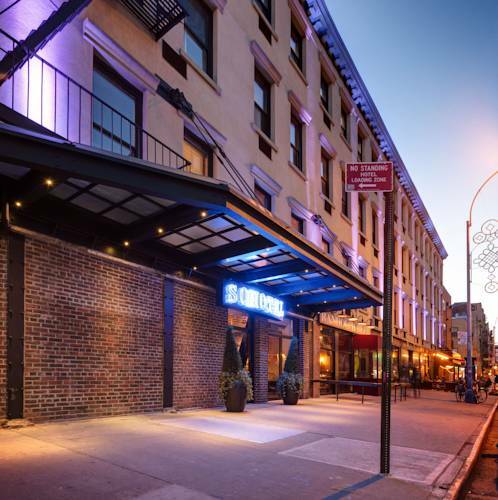 With 100 recently renovated rooms The Sohotel is charming and comfortable with just enough flair to satisfy guests looking for a hip New York experience. All of our rooms are well appointed but the various room types we offer allow us to accommodate any travelers budget. No matter the style the exceptionally cheap rates youll find here will leave you with plenty of spending room allowing you to get the most out of your time in the big city.